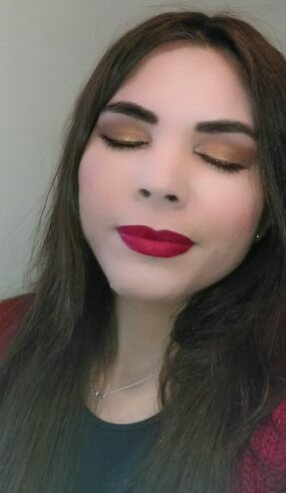 Today I was in a festive mood so I decided to put together a Thanksgiving / holiday themed look. 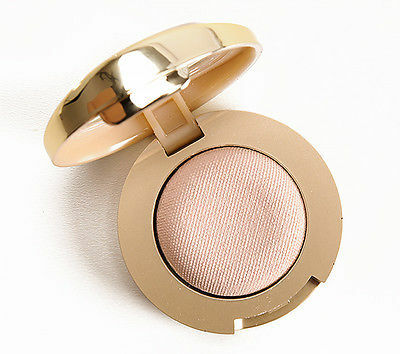 I’ve been playing around with Milani’s Bella Eyes Gel Powder shadows for a while and I’m really loving the formula. 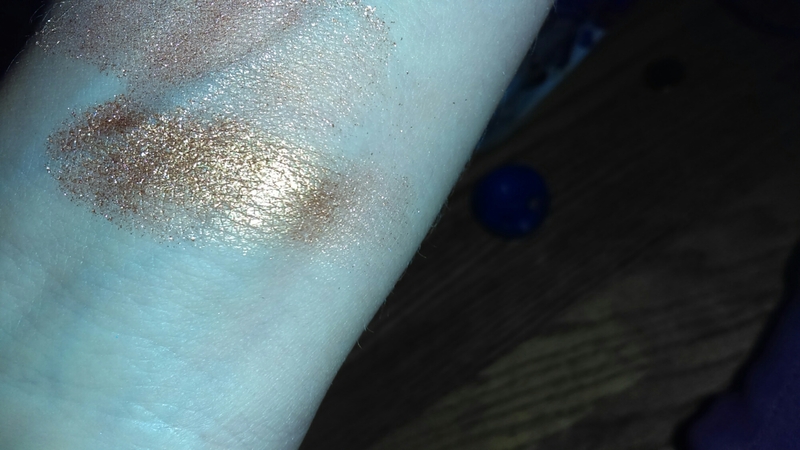 It’s creamy, very pigmented, and the shimmery shades are very reflective. The cream one, Bella Ivory, is perfect for the inner corner, below. 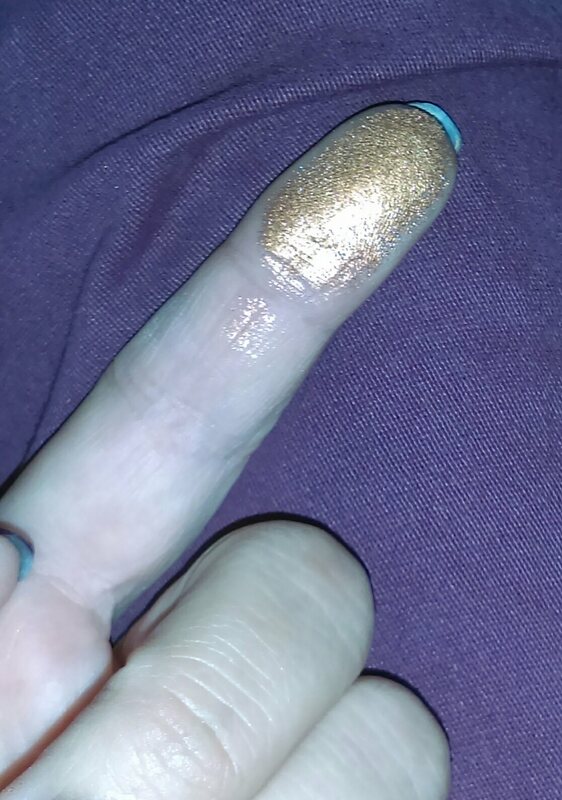 Photo from Vampyvarnish.com. $4.39 on Walgreens.com & elsewhere. 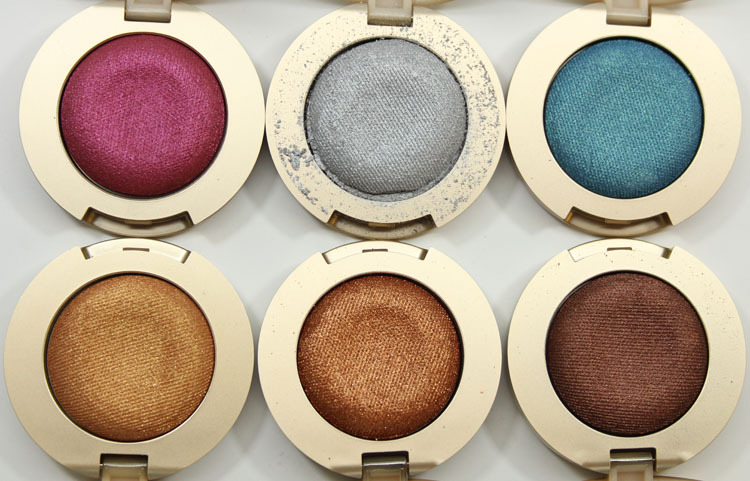 The bronze shadow and the cream one are my favorites. 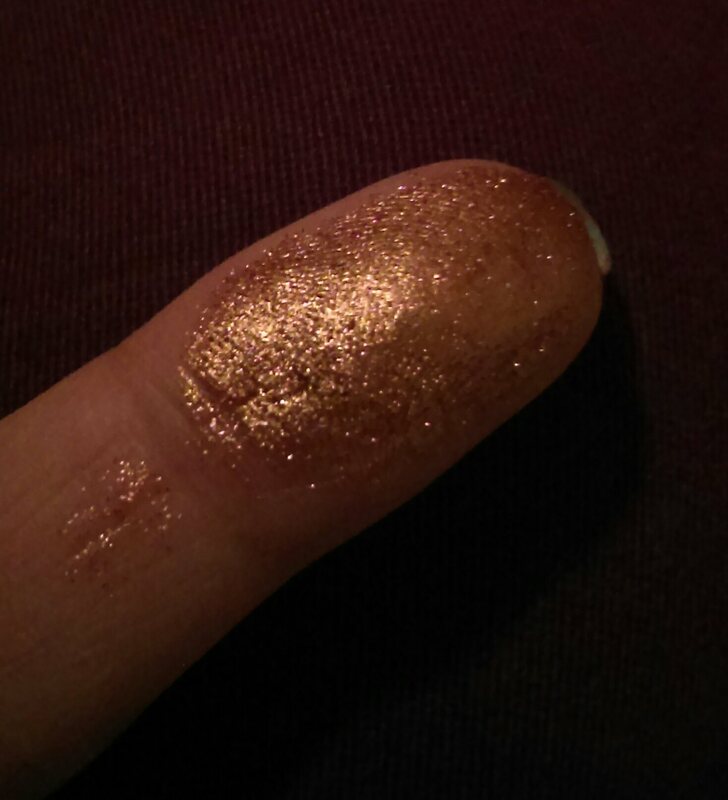 I used the bronze one, Bella Copper, below, on my entire lid today. 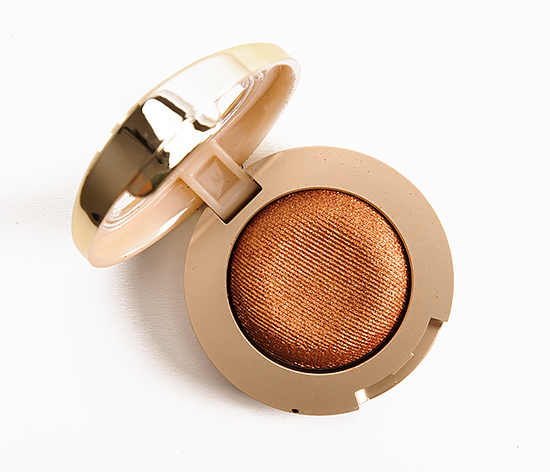 Milani’s Gel Powder Shadow in Bella Copper. Image from temptalia.com. Perfect for fall. The look was actually super easy to do but does require a lot of blending and patience. Make sure to start off lightly with your shadows and build the intensity gradually or it can be easy to create a mess that’s barely fixable. The good news though, is that wet wipes fix everything, and you can always start over. 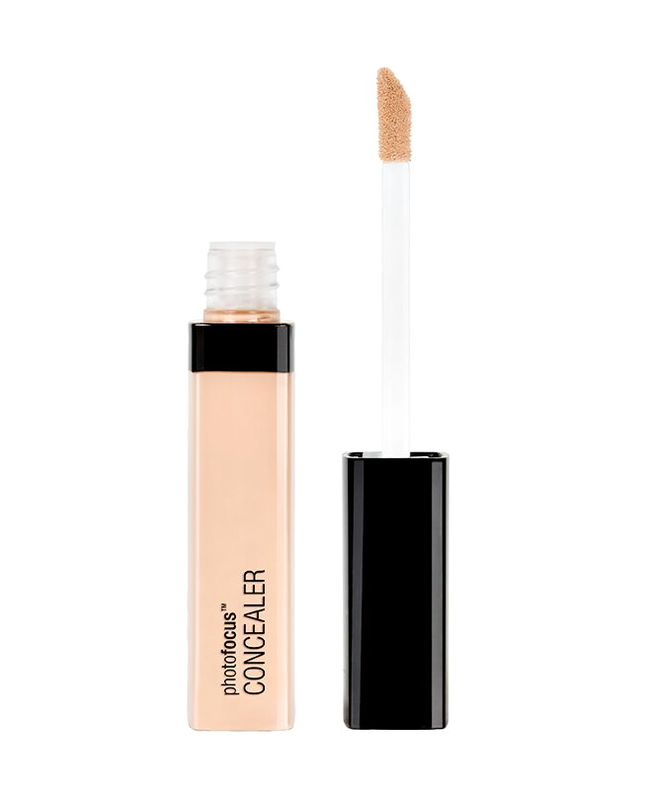 As Tati, one of my favorite beauty gurus recently said in a video, “It’s just makeup!” I began by priming my eyelids with concealer. 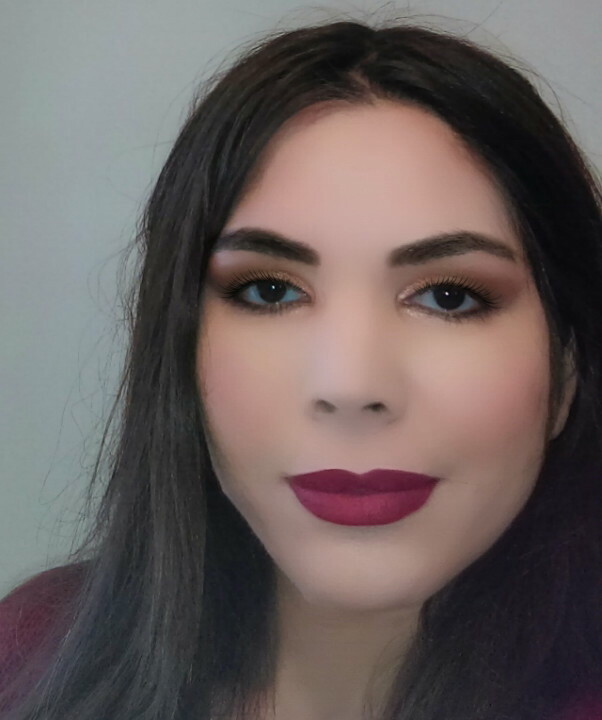 I used Wet n Wild’s Photo Focus concealer, below. Wet n Wild’s Photo Focus concealer. 3.99 at Walgreen’s & elsewhere. 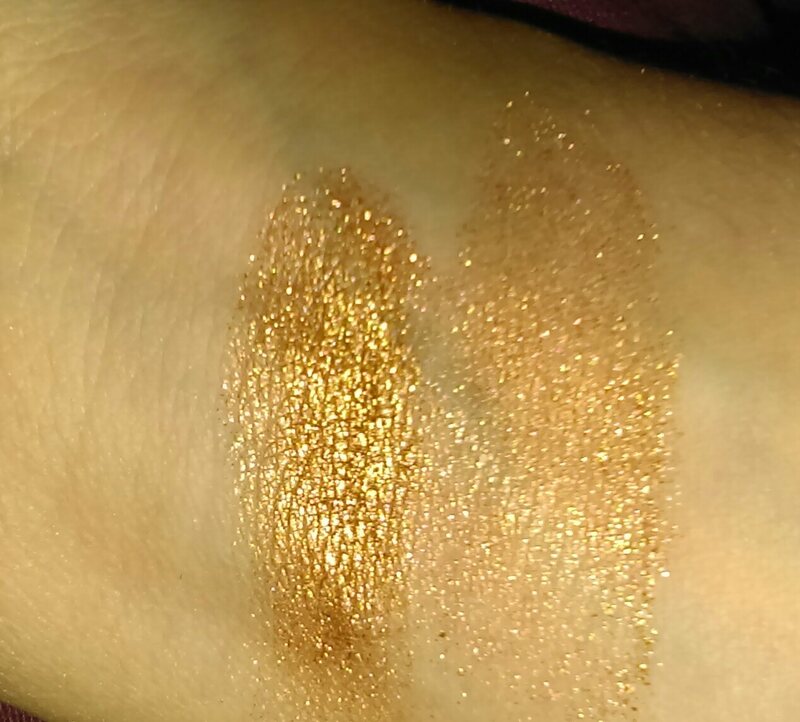 I then used the third medium brown color in e.l.f.’s Golden Goddess eyeshadow quad, below, labeled “crease” in my crease. 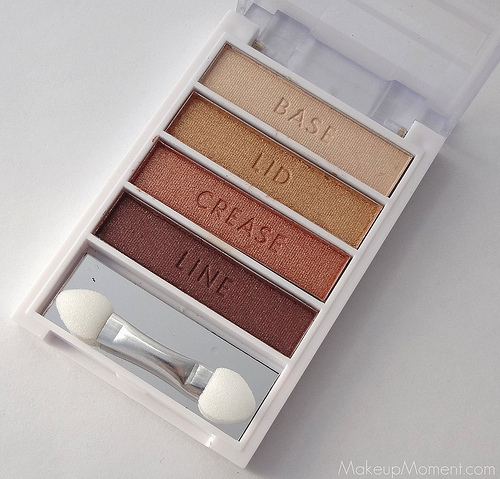 I used the second shade, labeled “lid” to soften up the edges all along my crease and allover the lid. Here’s a quick tip: to get more pigmentation out of these shadows, crush a corner and use the loose powder packed onto the lid wherever you want the most intensity. 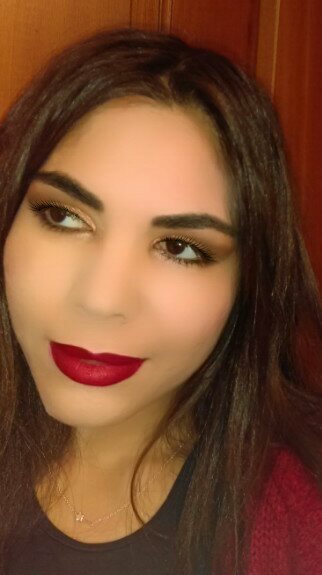 On the outer corner I used the last shade, a dark chocolate to intensify it and smoke it out into a cat eye shape. I also used a definer brush to smokoe out the lower lash line with that same shade. In the inner corner, I used e.l.f.’s Aqua Beauty Molten Liquid Eyeshadow in Rose Gold, below. I think it’s best to dab this on with the applicator, which is like a lipgloss or liquid lipstick doe foot applicator, and then tap it in with your finger. 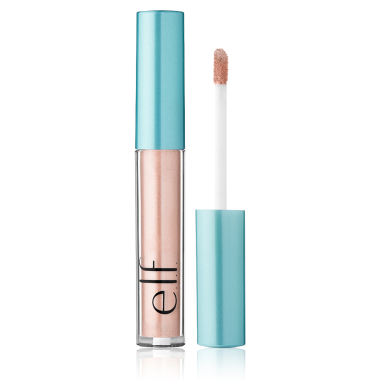 e.l.f.’s Aqua Beauty Molten Liquid Eyeshadow in Rose Gold. 4.00 on elfcosmetics.com & elsewhere. I also spread this onto the inner corner of my lower lash line and I really like how it brightens the eyes and pairs with the coppery tones. For mascara I used a sample of Diorshow mascara I recently received and I actually really liked it. 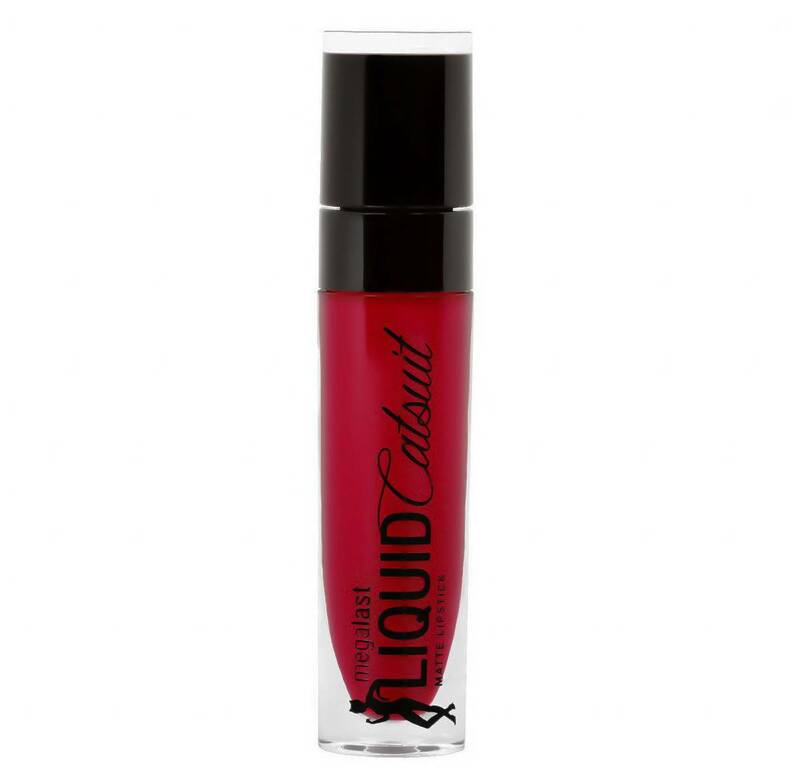 Wet n’ Wild Liquid Catsuit Lipstick in Missy & Fierce. $4.69 at Target & elsewhere. 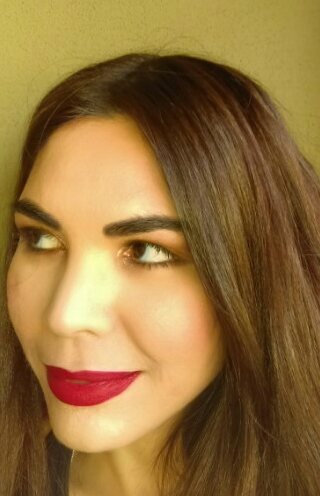 To finish the look I felt a red lip was the best way to tie it all together. I used Wet n Wild’s Megalast Liquid Catsuit in Missy & Fierce. I think this is such a perfect true red and looks great on all skin tones. 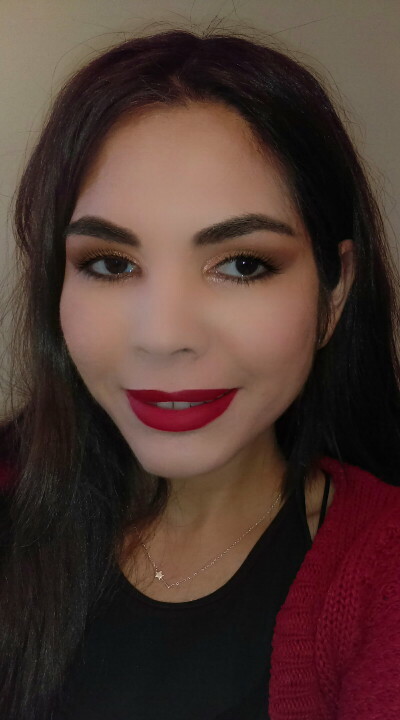 I love all these products and recommend them all to you. 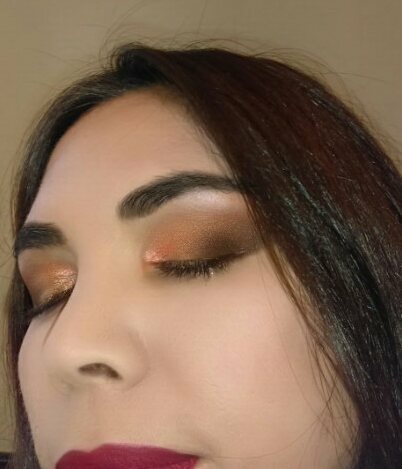 You can use any brown toned shadows and shimmery copper to do a similar smoky eye. 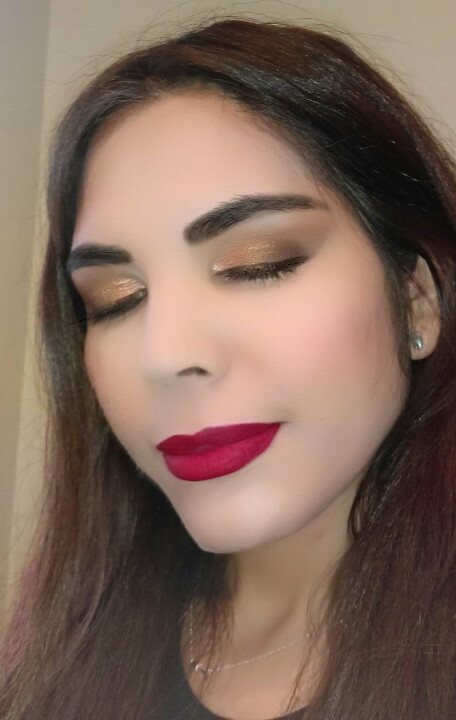 I think this look would be perfect for a holiday party with your family, dinner party, work party holiday party with friends, almost any holiday outing! 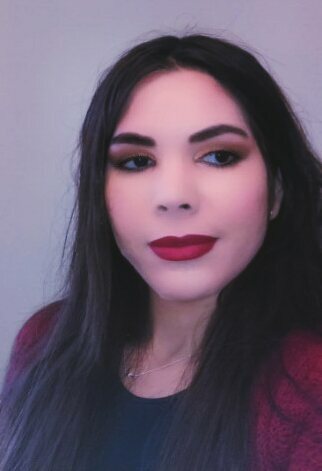 What are your thoughts on makeup looks for the holidays? ← Cozying up to Fall… Can it Stay Forever?